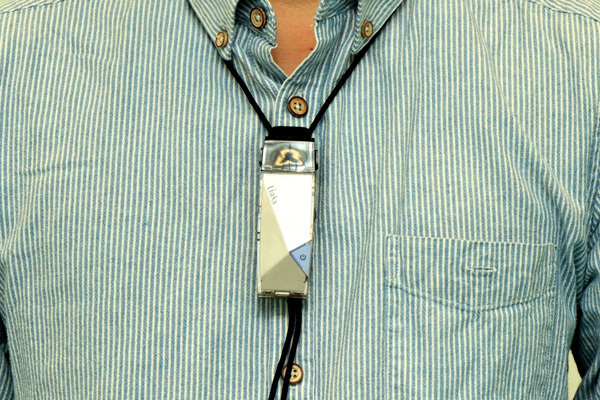 Wireless microphones are provided in large lecture rooms for learning and teaching purposes. To enhance student-teacher interaction, OCIO had extended the installation of wireless microphones to all central teaching venues on Tai Po campus. Presenters are also made available in all teaching venues, With the new equipment, instructors can move around the room freely and have more interactions with students. 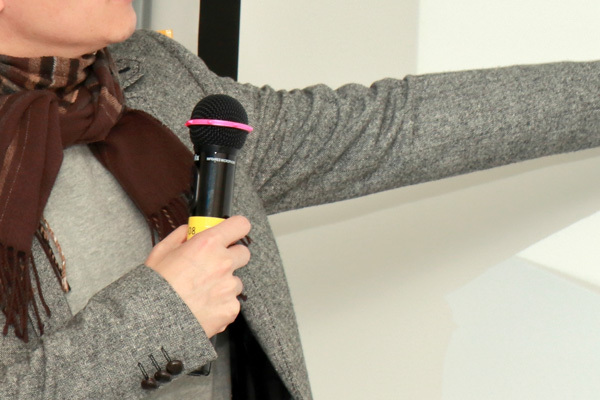 All central general classrooms on Tai Po campus are installed with handheld and hands-free infrared (IR) wireless microphones, as well as presenters, to suit different needs. Normally you can find them at the corner of the lectern. Users simply take one out from its charging slot and turn the power on to use it. 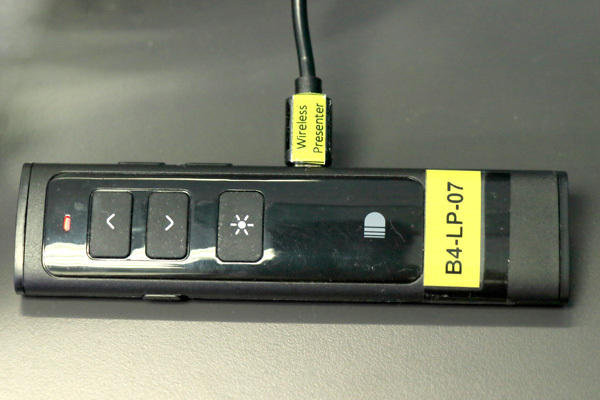 Users are reminded to turn off the equipment and put it back in the charging slot after use. 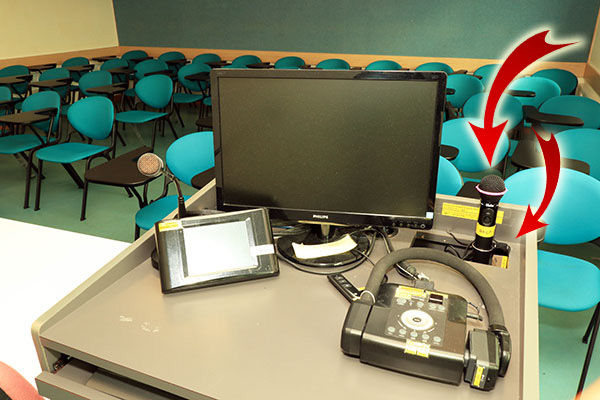 Lecture theatres on Tai Po campus are equipped with radio frequency (RF) or IR wireless microphones, and presenters. Users can make requests for the wireless microphones in these rooms (see below) by completing the Classroom Service Request Form (F017) available on http://www.eduhk.hk/ocio/forms/. Please call the Classroom Service Hotline at 2948 6529 if you need assistance using the wireless microphones or other teaching equipment in central teaching venues.